THIS PROGRAM HAS SOLD OUT. TO BE ADDED TO A WAIT LIST, PLEASE CALL ASHLEY AT 760-767-0446 EXT 1003. 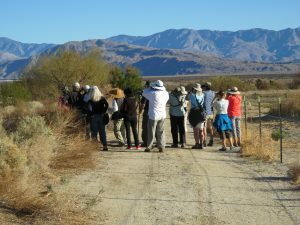 This three-day birding extravaganza will visit a variety of ecosystems: Borrego Valley, Salton Sea and the desert mountains. The class is intended for birders of all levels and abilities. Meet and greet, followed by a quick check on binoculars to make sure everyone is in perfect focus with a five-minute tutorial on getting them just perfect for your eyes. BORREGO SETTLING PONDS in Borrego Valley / Normally a good spot for desert thrashers and neo-tropic migrants and if there’s water we may see some shorebirds – this spot often has a surprise species show up! In the valley, we will also look for early-arriving Swainson’s Hawks. TAMARISK GROVE CAMPGROUND, 20 minutes south of Borrego Springs along San Felipe Wash / The grove is a good migratory stopover haven, and early spring migration may be in motion with warblers possible as well as Black-chinned Hummingbirds, and Warbling Vireos. Ladder-backed Woodpeckers have nested here the last few years, and hopefully the Long-eared Owls will return to nest for a second straight year as well. SENTENAC CANYON AND SAN FELIPE CREEK, found up and downstream from Scissors Crossing, 4-6 miles west of Tamarisk Grove, includes excellent desert riparian habitat / We will be a little early for the nesting of the federally & state listed endangered Least Bell’s Vireo in this segment, but we will see many resident and possible some migrant species. Possible new sightings for the day will include Nuttall’s Woodpecker, Black-tailed Gnatcatcher, California Thrasher, Bewick’s and House Wrens, Western Bluebird, California Scrub Jay, California and Spotted Towhee, Townsend’s Warbler, Common Yellowthroat, and Black-headed Grosbeak. This will be a good place for us to find a shady cottonwood tree for a working lunch break. BORREGO SPRINGS RESORTS / These locations are private, but we will at least seek permission to make a stop at the location in San Diego County to view the Inca Dove, a recent colonizer to California from Arizona. Naturally, we’ll see many migrant ducks, possibly some geese, and a host of other birds attracted to these lush environs. 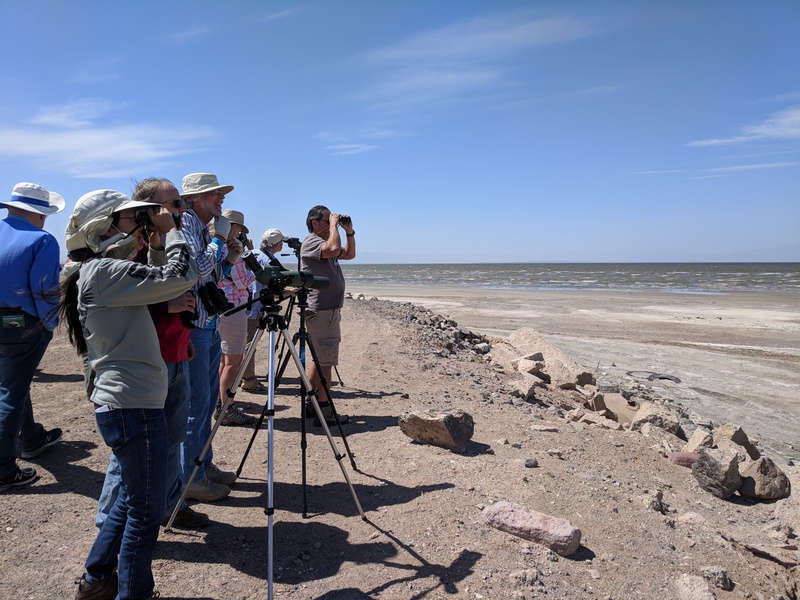 It is appropriate to visit the Salton Sea now, because this famous birding mecca is on the decline due to water restrictions, and probably will never return to its glory days. 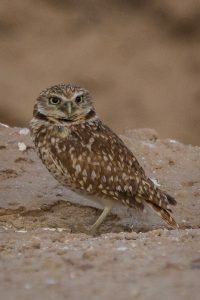 Nonetheless, many birds are still there to be seen, including many species of water-loving birds such as grebes, ducks, snow geese, Sandhill cranes, white and CA brown pelicans, Virginia rails, plovers, black-necked stilts, marbled godwits, willets, dowitchers, long-billed curlews, whimbrels, sandpipers, gulls and terns. THE SONNY BONO SALTON SEA NATIONAL WILDLIFE REFUGE / This portion of the trip includes Unit 1 (there is a viewing platform, and a chance to see Snow Geese, before the large flocks have departed for the north), Sandhill cranes, and the Headquarters Area (which also has a viewing platform, from which we may see Black Skimmers). A walk of around the headquarters complex gives us a great chance to see Abert’s Towhee (this species does not occur in Borrego) and Gambel’s Quail (hard to find in Borrego). RURAL FARM ROADS AND THE SEA’S EDGE / These roads afford us great opportunities to see Burrowing Owls, Peregrine Falcon, Ospreys, Long-billed Curlews, Whimbrels, several swallow species, Ring-necked Pheasants, and of course, resident birds and possibly some migrants passing through! Also, the Salton Sea is the only location in the United States where one can expect to see a Yellow-footed Gull, and this species first appeared here as a post-breeding visitor from the Gulf of California in August of 1965. At first present only in summer, it may now be seen in all seasons. OTHER LOCATIONS / If time allows, we will visit other areas, such as the Wister Unit of the Imperial Wildlife Area and Ramer Lake. Few areas of Cuyamaca Ranch State Park and its surroundings escaped the destruction of the Cedar Fire of 2003, but a some were spared. We will visit examples of both recovering burned and unburned areas. Habitats that we plan to visit include pine-oak woodlands, mountain meadow, lake, and chaparral, and we expect to see a number of species, including bald eagles, water fowl, hawks, Acorn and possibly Lewis’s woodpeckers, flycatchers, mountain chickadees, warblers, lark sparrows and hopefully Cassin’s finches. LAKE CUYAMACA / This reservoir is stocked with fish and is a popular recreational area. Numerous species of ducks such as Mallard, Northern Pintail, Wood Duck, Ring-necked Duck and Northern Shoveler should be here, along with Canada Goose. A pair of Bald Eagles nest in the nearby hills, and they visit the lake. STONEWALL MINE / A number of montane species are found here, but in recent years it has been known to host the Williamson’s Sapsucker, an interesting woodpecker in which the two sexes have a completely different appearance. PASO PICACHO CAMPGROUND / Wild Turkey, Western Wood-Pewee, Stellar’s Jay, Mountain Chickadee, White-breasted Nuthatch, Pigmy Nuthatch, Western Bluebird, and Western Bluebird all live here, along with other higher elevation birds. 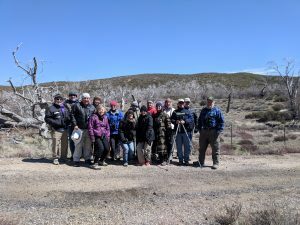 A walk into nearby chaparral should yield California Thrashers, Spotted Towhees, and even Mountain Quail if we are lucky.